About Us - China Southern Advanced Ceramic Technology Co., Ltd.
China Southern Advanced Ceramic Technology Co.,Ltd., is one of leading enterprises in industrial ceramic field, which specialized in the scientific research, exploration and manufacture of industrial ceramic products. It was established in 2006, and it covers 10000 square meters(3000 square meters of office places). Now there are 280 employees and 16 senior technicans with Dr. Degree of Science, the company annual turnover ( USD $68 million). 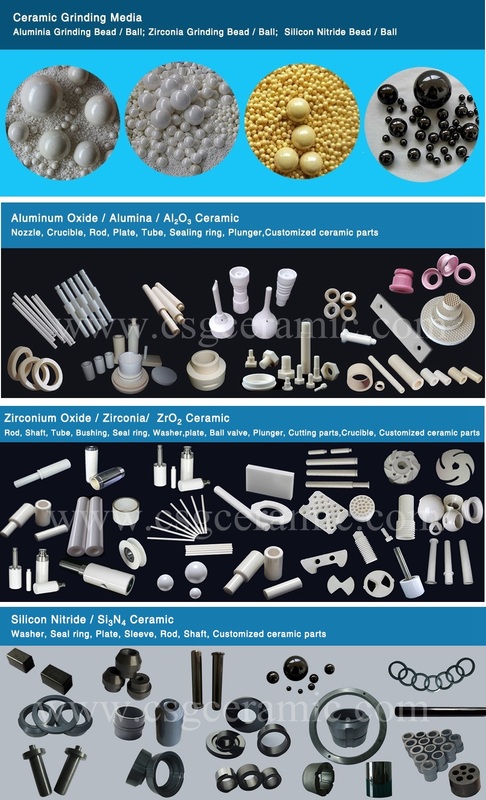 We have manufactured a various series of ceramic products including zirconium dioxide, zirconium oxychloride, alumina ceramics, zirconia structural ceramics, Y-TZP grinding media, Mg-PSZ ceramic parts, ceramic plungers, motor shafts, rods, tubes, plates, rollers, ceramic bush, ceramic ring, ceramic piston, ceramic fixed blade, printing rings gauges, wire-dragging capstans, electrical ceramics, textile ceramics, heating ceramics, honeycomb ceramics hair cutter and ceramic knife and so on. Our products are widely used in the industries of semiconductor, bio-technology, fireproofing, textile, petroleum, solid-fuel batteries, nuclear energy, military, aerospace, chemical processing, synthetic gems, medical treatment, food and hairdressing ect. In the past few years, with our innovative & good quality products, competitive price and excellent customer service, we have supplied our products to more than 30 countries in all over the world such as Europe, North & South America, Asia, Australia ect. With the company’s policy: “Unity, Credible, Innovation” , we continuously take in advanced technology at home and abroad, and strictly implement ISO9001：2000 quality management system in production, making many kind of stable and reliable products. We sincerely welcome all of the domestic and oversea customers to come to establish business with us, creating win-win business under reliable quality, competitive price and flexible delivery support.